Teeth whitening (or bleaching) is a procedure for lightening the colour of teeth. Mild bleaching preparations are applied in the treatment room or they can be used at home in a custom-made 'tray'. This procedure is generally recommended if your teeth are naturally discoloured as a result of ageing, are stained as a result of exposure to certain foods and drinks, or are discoloured because of smoking. Kindly note that we use a variety of whitening product systems in our practice and it your dentist will recommend the best one you. Are there other treatments that I should have first? This procedure is generally recommended if your teeth are naturally discoloured as a result of ageing, are stained as a result of exposure to certain foods and drinks, or are discoloured because of smoking. The whitening effects can last from a few months up to three years. This varies from person to person. Professional bleaching can be external or internal. If you have external bleaching, the gel is placed on the outer surfaces of your teeth. Internal bleaching involves the bleaching product being put inside your tooth. External bleaching is more common, as internal bleaching can only be used if you’ve had root canal treatment, making access to the inside of your tooth easier. HOME System- Rubber mouth trays are made after an impression has been taken of your mouth. These fit your teeth exactly, and the gel used is will be stronger and therefore more effective what is available over the counter. You will be provided with tubes of bleaching gel and instructions on how to put the gel in the mouth trays. You will need to regularly wear the mouth trays as prescribed (30 minutes to one hour, over a period of four to six weeks). Internal whitening can only be done if you’ve had root canal treatment. This means that the blood vessels and nerves inside your tooth have been replaced with a rubber filling. If you have internal whitening, a hole is made in your tooth and the bleaching productis placed into the hole. This is then sealed with a temporary filling, leaving the bleach inside your tooth. You will need to go back to your dentist about a week later to have the temporary filling and bleach taken out. A tooth-coloured filling is then placed to match the new shde of your teeth. If you have tooth decay or gum disease, this will need to be treated before you have any whitening treatments. There are some instances when your dentist may recommend that you don't have your teeth whitened. For example, bleaching isn't usually recommended for pregnant or breastfeeding women, or for anyone under the age of 18 whose teeth are still developing. How long does will my teeth remain white? The whitening effects can last from a few months up to three years. This varies from person to person. How do I know if teeth whitening is right for me? A correct diagnosis of the cause of the discolouration is necessary in order to correct it. A complete clinical examination by a trained dentist will help this diagnosis and lead to a long-lasting healthy smile. These will vary from patient to patient. Ask your dentist to explain how these risks apply to you. Side-effects are the unwanted, but mostly temporary effects you may get after the procedure. These include temporary sensitivity of your teeth to hot and cold, a sore throat, tender gums and white patches on your gums. These side-effects should disappear after a few days. Contact your dentist if the side-effects last for longer than this. 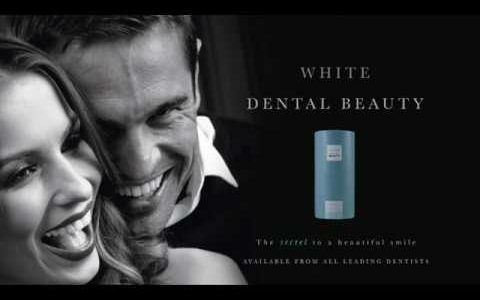 Book a consultation now for more information on how we can help you with Teeth Whitening.